The Reds were thought to be the club to capture Barcelona’s left-back Joel Lopez this summer but the Merseyside club surprisingly pulled out of the race for his signature, giving Arsenal the chance to capture his signature before the start of next season. Having seen Liverpool’s decision to end their desire to work with the youngster, Arsenal manager Unai Emery swung into to action by negotiating a deal with the Blaugrana for his signature and he is reportedly set to join the Emirates Stadium outfits this week. 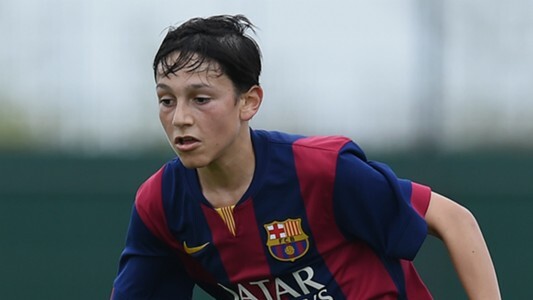 The Telegraph claimed in one of their reports that Arsenal have reached an agreement with Barcelona for the 15-year-old’s signature. Should Lopez finally made his switch to the Emirates stadium in a couple of days, he would be hoping he follows the footsteps of Hector Bellerin and Cesc Fabregas, who left Barcelona youth setup to established themselves as an integral part of the Gunners team during Arsene Wenger time. Liverpool manager Jurgen Klopp is known for developing youngsters into world-class players, he would be unhappy that his employers didn’t do enough to beat the Gunners to the youngster’s services. In some years to come, Lopez will be making his debut for Arsenal first-team squad and by that time, Liverpool could be looking for a new left-back player to buy from the transfer market.